and where you can find them in Dubai! Mermaids are totally having a moment right now. 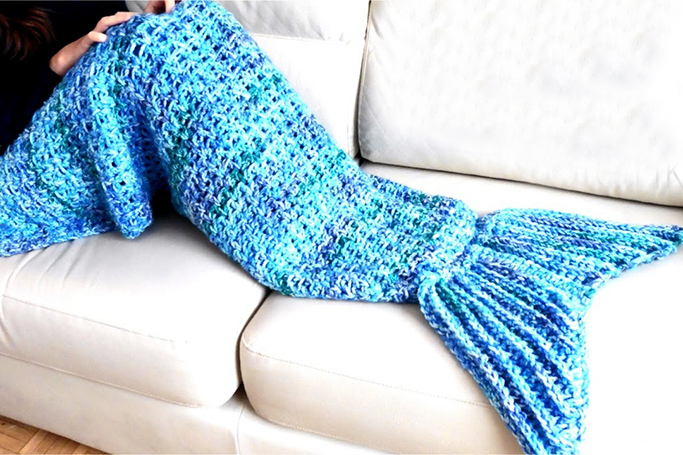 The internet's latest obsession is mermaid tail blankets. Seriously, These blankets are ALL over Instagram. And with good reason. All of us at some point have dreamed of being a mermaid swimming in the vast ocean with our shiny tail and having absolutely nothing to worry about (Just admit it!). It is the perfect escapism. The fact that they look so gosh darn cool doesn't hurt either. They come in every colour and material you can possibly think of, allowing you to slip into a cute pink knitted tail and chill out on your own rock. Or sofa. Think slanket sans sleeves and add a slinky tail. The mermaid blanket gives you a fishtail while doubling as a super comfy throw. We KNOW. We can hardly believe it’s a thing, either. Here are 4 websites that ship mermaid tail blankets to Dubai. Happy shopping! We love the scaly texture of this blanket. A website dedicated solely to mermaid tail blankets. This website has mermaid blankets for kids too!